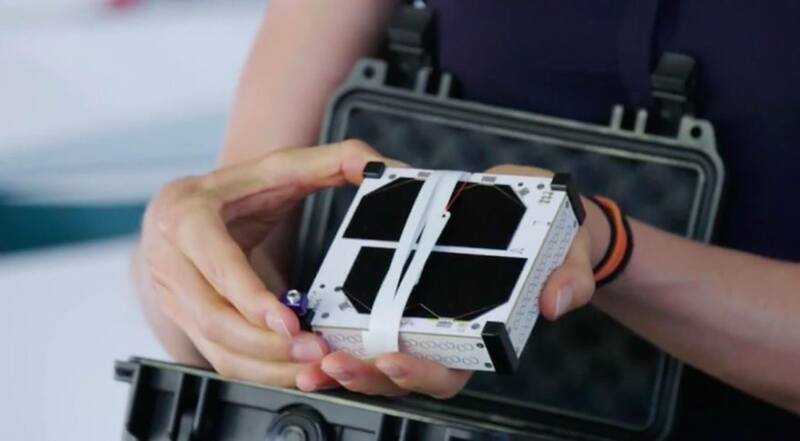 In brief: Communications startup Swarm Technologies has asked permission from the FCC to launch dozens more of its small cube satellites. The request comes on the heels of a $900,000 fine it the company was slapped with for sending up four of the orbiters a year ago. As we reported in December, Swarm had asked for permission to launch four small test satellites in 2017 but was denied. In January 2018, the firm sent them up despite being refused authorization. The Federal Communications Commission got wind of the unsanctioned launch and began an investigation last June. Last month the FCC concluded its investigation with a relatively small fine and a temporary permit to operate the satellites. According to documents obtained by IEEE Spectrum, only one day after receiving the FCC's consent decree, Swarm asked if it could send up more. The firm is not proposing to put up just a few more — it is asking to launch as many as 150 of the tiny “Spacebees” satellites. Its goal is to create a network of orbitals to provide global IoT communications. The Spacebees, which are no bigger than a human hand (11x11x2.8cm) and only weigh between 0.4 and 0.7kg, can be built and put into orbit quickly and for less cost than a typical satellite. Their small size also allows them to be launched in larger numbers simultaneously. Swarm’s application says that it wants to start sending the orbiters up as soon as March 1. It plans to have an operational network of 150 satellites by the end of the year with more than 500 being launched over the 15-year lifetime of the constellation. Not all of these will be up at once. Spacebees will orbit at an altitude of 450-550km. At this height, a small amount of atmosphere will gradually decay their orbit until they drop out and burn up. Each satellite will have to be replaced around four times over 15 years. It is unclear whether the FCC will give it the go ahead. When it denied permission for the four launched last year, the commission cited concerns of not being able to track the 1/4U craft from the ground. “In the absence of tracking at the same level as available for [1U] objects… the ability of operational spacecraft to reliably assess the need for and plan effective collision avoidance maneuvers will be reduced or eliminated,” said the FCC in its original denial. The permit to fly the current four expires at the end of February. The FCC will likely decide by then on whether it will allow the project to continue.